The shrinkage limit of a soil is defined as the moisture content after which any further reduction of moisture does not cause volume reduction. From the data obtained from this test, Shrinkage limit, Shrinkage ratio, Shrinkage index and Volumetric index can be calculated. 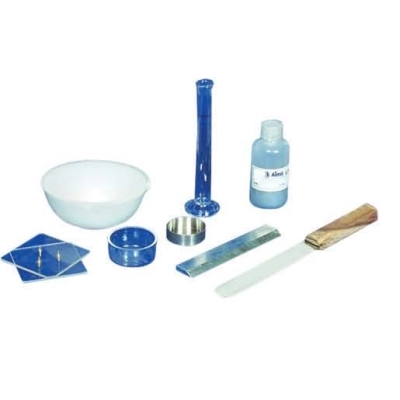 Consists of porcelain evaporating dish, shrinkage dish, glass cup, spatula, perspex plate, mercury 750g and straight edge.